Model A Roadster in Australia, " The Road to Gulong. If you think of Hot Rods, no doubt you will be thinking of California beach cruises, Detroit Autorama, Hershey swap meets in Pennsylvania etc, but- Australia has the Hot Rod bug as bad as the USA and the UK and I know this because I lived there for 4 years, working for a Hot Rod Radiator manufacturing shop in North Melbourne. They are huge Petrol heads and I loved it, so, when I saw that the Model A in Australia was celebrating its 90th anniversary, I thought I would share this set of small videos. Andy runs Classic & Custom Garage in Melbourne, Australia. Andy’s good friend Duncan has a build underway at C&CG of his Ford Model A Roadster. Watch the videos as Andy gets this old stocker A-Bone to a running standard that will have full fenders and slightly lowered, but- still using its Original 4 Banger Motor, this episode, Andy removes some rust on the lower panel and makes a fresh replacement. Below, you will see Andy has replaced some of the Bodywork and hand made some of the floor as well as seat riser, the Roadster body is about to be removed as Andy will be removing the old gearbox and replacing it with a Modern T5 set up. Below, more work involved this time, changing the Carb to a grey Motor Stromberg was a cool idea, making a riser and flipping the linkage is a great idea, lots of work here, machining the flywheel to allow the T5 to fit and run a Holden Clutch, nice job and attention to detail Andy. I am hoping there will be another episode after this one below, but I shall add the Gulgong show from another person to show the 90th Anniversary of the Model A. But great job Andy on this Roadster. 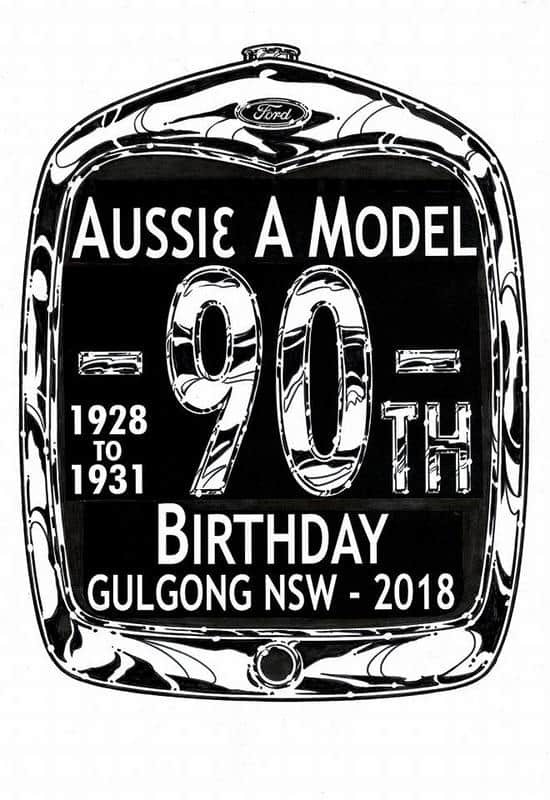 Below is a video of a geezer making the trip to the Model A 90th Birthday bash, Australia is a vast county, only 100 miles smaller than the States, and people travel great distances with no worries in the world, everywhere is measured in Hours not miles, great effort going all that way in rain and snow too. Tons of Model A’s as far as you can see. I had such a blast living in Australia for 4 years, living in NSW and Victoria, everyone was great and all shared the passion that I am into, people are so genuine and enjoyed all the Hot Rod shows I attended and, I attended tons of them. This entry was posted in Blog, Hot Rod Tips & Tech and tagged A Model, Abone, Australia, belly tank, coupe, flathead, ford, FORD A, Gilgong, hot rod, Model A 4 Banger, pheonton, roadster, Roadster pick up, sidevalve, Sidey, sports coupe, tourer, touring, tudor.